What a reservoir of intellectual curiosity and intelligent thought the TED Talks web site is. We would all aspire to be on that stage, in any city across the world, to deliver our magnum opus in those eighteen minutes or less. Well, some of us would, we suspect? Well now you can. TED have just called for video submissions for OpenTED, a new initiative that offers all, that is everyone, the chance to vent their idea to the world. You have, in this case, just six minutes or less to give the world your idea. It might be a new social movement, political idea, artistic initiative or just a personal reflection on an aspect of your life. Below is a contribution from the performer Tanya Davis, with the filming expertise and technology provided by film-maker Andrea Dorfman. It is a poem and filmic art, about being alone. It is also a collaboration, to express the idea or commentary using a range of skills. Working together with others to express your idea. A small, personal idea, or big statement about an aspect of your life or community. The TED idea democratised. Now there’s an idea worth spreading. You can find the OpenTED small print here. Revisit the TED main web pages here for inspiration. Making Digital Work – A digital toolkit for Arts and Culture is one of the latest publications available from The Digital R&D Fund for the Arts. This is a stunning piece of work, encapsulating business modelling, ideas curation and potentiality for delivery , route mapping and success measurement – all through the meta-filter of the arts and culture agenda. The toolkit is not a complex piece, nor is it exhaustive, but it does contain processes which any arts focused project can use to identify new opportunities, to plan the business case for the digital work, focus on audience and user value, collaborate, design, build and engage, then evaluate and share. Simple and effective solutions to arts project planning and delivery in the digital domain. Whether developing the concept in mind with the Six Hats methodology or taking a more mainstream approach to idea development by using the Business Model Canvas, then the toolkit from The Digital R&D Fund for the Arts offers plenty of opportunity to use the techniques best suited to your management team, volunteers or funders. We like the Business Model Canvas. Using it with our Third Sector clients is a good way to encapsulate the business argument and key considerations for the community enterprise. You can see an example on www.enterprisingcommunities.today here. Using it here, in the arts and culture context, the main headings have been adjusted to include clarity of thought in the project overview, sales and marketing, operations and resources, staff and management…and finance too. Contemplating a digital arts or cultural project then the web lends itself to testing, data collection, evaluation and storytelling derived from a completed project. The digital toolkit contains much that is useful in using and shaping output from new media and new technology, within the context of arts delivery. We recently wrote, on our Communications EAST Toolkit page about The Growthverse, a very useful web service that can help you decide upon and plan deployment of your new media, user relationships and feedback methodologies. We commend it to arts professionals too. Although it is intended for tech start-ups, there is insight to be gained from exploring it, we would argue. In summation, this is the toolkit for arts and culture in the digital age, bar none. The closing pages contain useful links, not only to the Digtal R&D Fund, but also to the Nesta Creative Enterprise toolkit, a variety of digital capacity resources from the Arts Council and the Design Council Guide to Design. 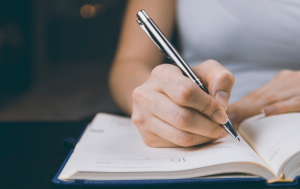 If you are a practitioner…connect to the internet and diary some laptop time, you will need it. REALITY brings together over 50 works celebrating the strength of British painting with some of the best and most influential artists of the last sixty years, testifying to the survival of painting as a medium and the impact of British painting today. Major 20th Century artists are represented such as Walter Sickert, Francis Bacon, Lucian Freud and David Hockney, alongside contemporary painters including Ken Currie, George Shaw and Caroline Walker. The tour will be followed by lunch in the restaurant. Lunch is self service but we have reserved a table, so Fellows can eat together and review the morning. During the summer of 2014 the Society sent out a survey to the Fellowship, seeking their responses on a number of issues and asking for their views and comments. Below is a copy that analysis, garnered from the 29% of Fellows who responded, along with some thoughts from the conversationsEAST team as to how our contribution to the work of the Fellowship might be flexed, in response to the findings. “Overall responses to the survey were positive. Over two-thirds of Fellows join–at least partially–to support our mission, the quality of almost all of our outputs is seen as very high and by far the majority of Fellows are intending to renew their Fellowship. The Survey also generated a large amount of information that can be used to guide ongoing Fellowship development”. There is less satisfaction with local events compared to other areas of our work. There are a large number of Fellows wanting to self- organise but are frustrated at being unable to do so. 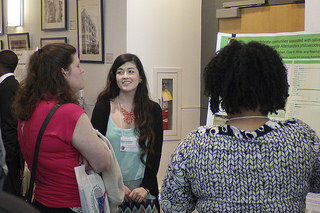 Some Fellows want to be more involved in the work we do. There is a lack of knowledge about what we do. Across the seven RSA Projects included in the survey, `have not heard of it at all’ accounted for between a quarter and a half of all responses. There are strong regional variations in how Fellows perceive the RSA. Looking forward into 2015 we have recently published our ‘road-map’ as a journal, where we have been working with Tim, our new Fellowship Councillor in the East, to develop a series of gatherings to explore how Fellows can become more engaged with the Society. We will, as stated, pivot these, supporting Tim directly in the delivery of a series of Fellowship Councillor Surgeries across the region. This might help inform and engage the interested Fellowship directly. Offering an informal setting, with refreshments, for the survey itself to be discussed and for Tim to explain and heighten awareness of the work and input of the Fellowship Council itself. One of the findings in the survey was that many Fellows were unaware of the function of the Fellowship Council, for example. Another way forward, we would argue, would be to foster the engagement of female Fellows, either as new Fellows, or to develop some way to engage with the Fellowship on a gender basis. We have written before in this journal and in our regional annual reports about the gender imbalances, including in the Fellowship, in our region. If this imbalance in Fellowship is ‘normalised’ across all regions, we would look to develop a campaign/project to engage by gender across adjacent regions for example. Sharing both the information in the recent survey, but garnering explicit local knowledge on gender bias as part of the project initiation work. In our publishing activities we will develop a ‘Fellows have their say!’ web journal page. Where the Fellowship can directly contribute to the regional debate in the East. This might be particularly useful in bolstering the regional events catalogue in terms of feedback or activity recommendation. All this information will be passed directly and securely to the Eastern Region Fellowship team, of course. We will foster and web publish a set of ‘View from the Fellowship Council’ reports. Getting Tim to write a regular review of Council activity and debate, in a generalised way, which can feed into regional meetings and, more importantly, be immediately available to the wider regional Fellowship. Helping to support and deliver a clearer understanding of its work and role. We think the new RSA web site, arriving this month, which will enable Fellows to contact each other directly if they wish, offers an important and effective mechanism for pan regional co-operation, as well as improving inter-region project and activity development. We look forward to reviewing it on our web pages. Also useful, we believe, will be the launch of artSUFFUSION, our sister arts focused web journal. We are refining the publication manifesto this month. We hope that by combining the arts, crafts and making into one energy stream in the region, whilst connecting new conversationsEAST social enterprise start-up projects, we can also help convert our Society’s brilliant research papers and mission into real world examples of sustainable community business and social outcome funded projects. We look forward to 2015, hoping that our readers will come along with us? Here at conversationsEAST, this was a story that had everything. High art, craft skills, invention, controversy and ladles of genius. Entwining a Texas entrepreneur, a seventeenth century Dutch painter and an obsessive journey into the ‘how it was done’. Tim Jenison is a Texas based inventor and technologist with a deep interest in the painting of Johannes Vermeer (1632 – 1675). Put simply, Jenison is of the view that Vermeer could not have painted his interior scenes from life alone, the application of technology, Jenison insists, is how the stunning art works were created so long ago. The short film below encapsulates the long journey of exploration that Jenison has undertaken to make his point. He has deployed art history skills, the talents of a craftsmen and the inquisitiveness of an inventor to make an argument, which whilst contentious is, none the less, powerful. His five year journey involved making exact replicas of the furniture and musical instruments in a Vermeer painting, and through utilising the concept of a camera obscura and a mirror on a stick, Tim sought to recreate Vermeer’s picture, The Music Lesson. The interiors of the room, it’s content and effects were built by Tim, even hand building the lens to seventeenth century specifications that he used to deliver his painting technique. The results? Well you can see the full depiction of his work over time in this original article from an issue of boingboing.net. 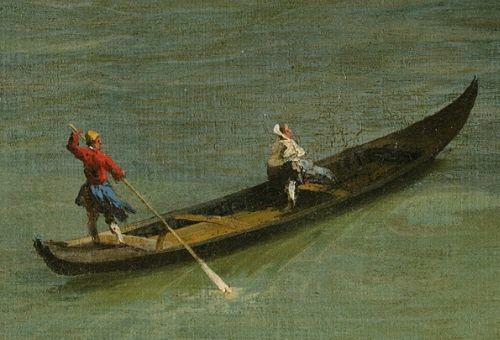 Within the broad sweep of this large Canaletto, the texture of the oil paint, the slightly impressionistic depiction of the figures and the matte ‘depth’ of the boat clearly show Canaletto’s brush work and his hand. 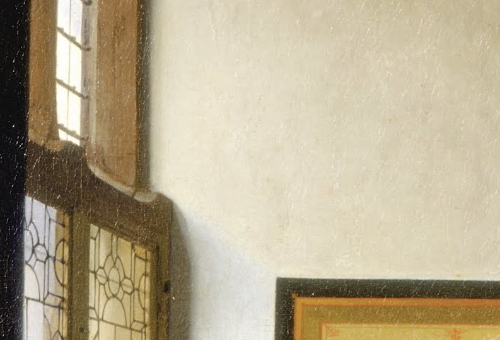 Below is a similar size section of the painting, The Music Lesson by Vermeer, that was the object of Tim Jenison’s attention. In it the light falling from the window, the tone and smoothness of the wall surface by the window and increasing colour change away from the light source into the room are, to echo Jenison’s argument, extremely photo-like. The work of Jenison and his collaborators is a wonderful example to anyone who has an idea or a need to find out, whether an RSA Fellow or not. Obsessive perhaps, but stunning in the execution of so many skills and techniques. Was Vermeer really a tech geek? Read the article, watch the film and tell us what you think…. the Art Fund Museum of the Year 2014 competition. Foster + Partners, this iconic building rests in the University of East Anglia campus landscape and is perhaps the pre-eminent collection of modern art in our region. The permanent collection housed at the Centre was relaunched with a complete re-display in September of 2013. Masterpieces: Art and East Anglia. The exhibition was assembled from some 250 works, donated by over 60 institutions. The ranged from neolithic flint hand axes, tomb effigies from East Anglian churches to paintings from the Norwich School artist John Cotman. The space, with its endless variety of ways to approach the works, still attracts a sense of wonder and deep engagement. The short video below, featuring the Centre Director and art historian Philip Mould, conveys this sense of connection well. Sainsbury Centre for Visual Arts, you should. Not least to see how the curatorial energy of the Centre team has won them a deserved place in this competition. See the Art Fund pages and details of the other finalists here.